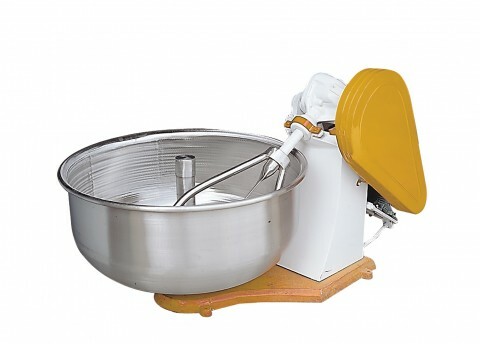 The kneader with fork mixing body provides a uniform and qualitative batch of the test because the bowl and mixer body is rotating in it at the same time. As material for production of a bowl stainless steel, strong, durable and hygienic material is used. The kneader of the HYM series differ from each other in the maximum volume of the test prepared for one calling.